March Madness and the NCAA men’s basketball tournament kick off this week, which you already knew since you joined the DL NCAA Bracket Challenge. But, you may not know exactly how you should be following all of the action. Don’t worry, just like last year, we have you covered with a list of the best apps that will let you track brackets, see the latest news and scores, and even watch games live. 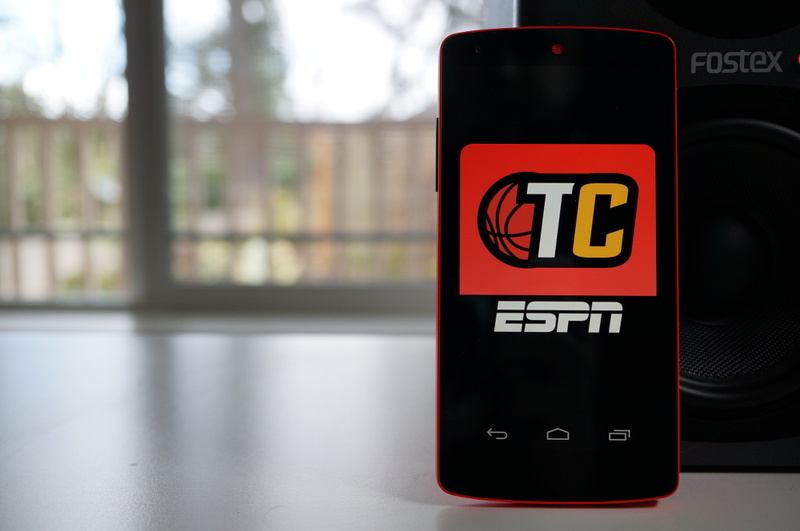 From ESPN to CBS to Yahoo, all of the best apps can be found below. If there are three apps that I could recommend, it would be the first three on the lists. One lets you watch live games, another will help you keep track of your bracket in the DL Challenge, and a third is a must-have for sports scores. NCAA March Madness Live (Play Link): This is a must have app for all NCAA March Madness lovers. With the NCAA March Madness Live app, you can watch every single game (all 67 of them) live, for free. Well, a TV subscriber login is is required after a short preview period, but assuming most of you have TV, that shouldn’t be a problem. The app seems to be greatly improved (we’ll see on Thursday morning), lets you view your official Capitol One NCAA bracket, set notifications for games, and read news on the tourney. ESPN Tourney Challenge (Play Link): Since you joined the DL Bracket Challenge, and we use ESPN to run the show, you should probably install this app. It’s free, only requiring that you login with your ESPN account to check your bracket or status in our group. theScore (Play Link): You won’t be able to manage your bracket through theScore, but a dedicated NCAA Tournament section in bracket form makes it incredibly easy to follow scores and games as they roll-on through the week. This has been my go-to sports app over the last year, so I’m excited to see how they handle March Madness. Yahoo Sports and Tourney Pickem (Play Link): This app used to be called Yahoo’s Sportacular, but it appears to have been renamed for the Tourney. Yahoo will let you create a bracket or sign-in to view yours upon first launch. Yahoo (outside of ESPN) is largely thought to be the next best fantasy sports or pick’em locations on the web. If you aren’t using ESPN for your bracket groups, this is the app to have. CBS Sports (Play Link): This app is well designed, general sports app that has a dedicated NCAA Tourney section. You can check your CBS brackets, read up on regional previews through News, check live scores, see spreads, follow specific teams, and make better selections through their Bracket Stats section. ESPN SportsCenter (Play Link): This app is mostly garbage these days, but it’s ESPN and they’ll have plenty of NCAA Tourney coverage to gobble up. From news to scores, it’s certainly an app to have hovering around your phone if any of the others aren’t doing the trick. NCAA Sports (Play Link): This isn’t a Tourney specific app, but it is a well made app for following all college sports. You can pick your favorite schools, sort by sport, and see all of the NCAA Men’s basketball news as you need it. It’s made by the same folks who designed the March Madness Live app. 365 Sports (Play Link): Hasn’t been updated yet for the Tournament, but it has been good in the past. You may want to keep an eye on it. Any others you would recommend?